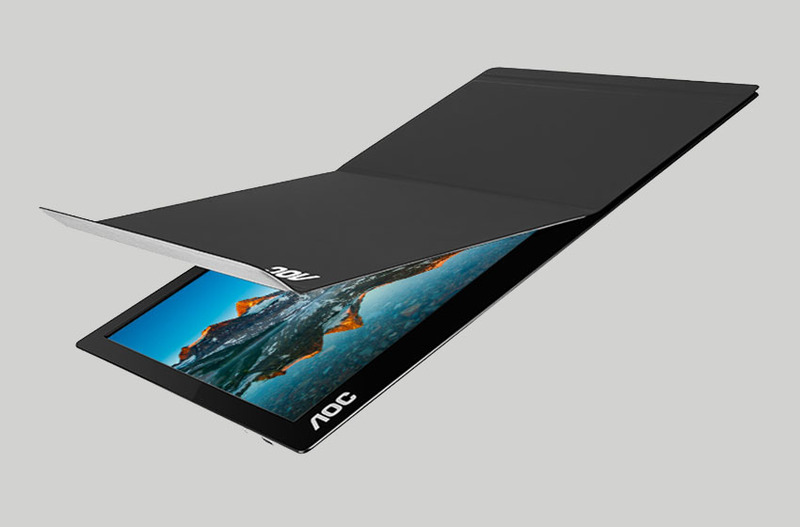 If you are looking for a very slim, lightweight, and easy to use portable external monitor that is also affordable, the new AOC i1601fwux ticks all of those boxes. With people working outside of the office just as much as they do in it, portability is an important quality, even for an external monitor. The i1601fwux is powered by a USB-C cable, which brings the 15.6 inch 1080p high-end IPS panel to life. This means you won’t have to lug additional cables to power the monitor. Plug the single USB-C into your laptop and you are ready to go. For many small business owners, the office is now anywhere they can take their computing device and make their presentation. This can be achieved with everything from a smartphone to a tablet, laptop or projector. With monitors or displays playing key roles, having a portable device that can be plugged in easily can make things much easier. 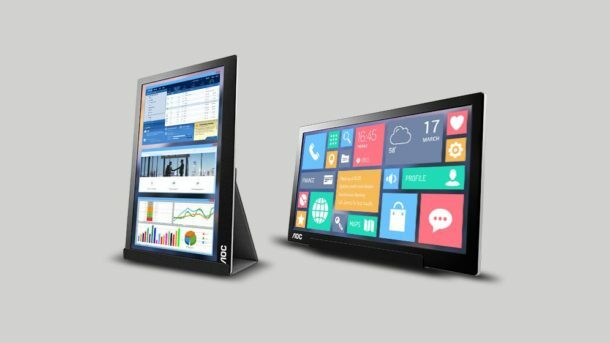 Weighing in at only 1.81 pounds or 0.24kg, and measuring only 8.3mm thick (which by the way is only 1mm thicker than the iPhone 8) the monitor can easily be taken to your next meeting. In addition to the monitor itself, the USB-C cable is the only thing you need because you won’t have to carry a dedicated power cord or VGA cable. The IPS monitor has a 700:1 contrast ratio with 5ms response time and a maximum resolution of 1920×1080 at 60Hz with a color depth of 262K. Once you plug it in, you can use the stand that comes with the monitor to horizontally or vertically place the monitor and view the 16:9 aspect ratio display. READ ALSO Can You Make Money with a Drop Shipping Business? An In Plane Switching (IPS) panel is better than TN or Twisted Nematic panel because it has its own set of subpixels to produce better colors without distortions. For freelancers and small business owners making digital presentations, the IPS monitor will deliver higher quality images. For presentation with many images or videos, this could prove to be the difference in swaying a client to make a decision. The AOC i1601fwux is now available for $190.00 on Amazon.